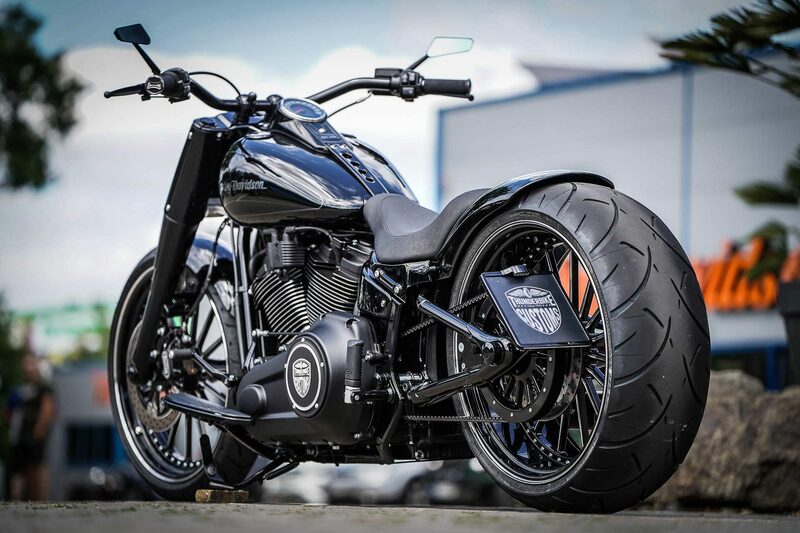 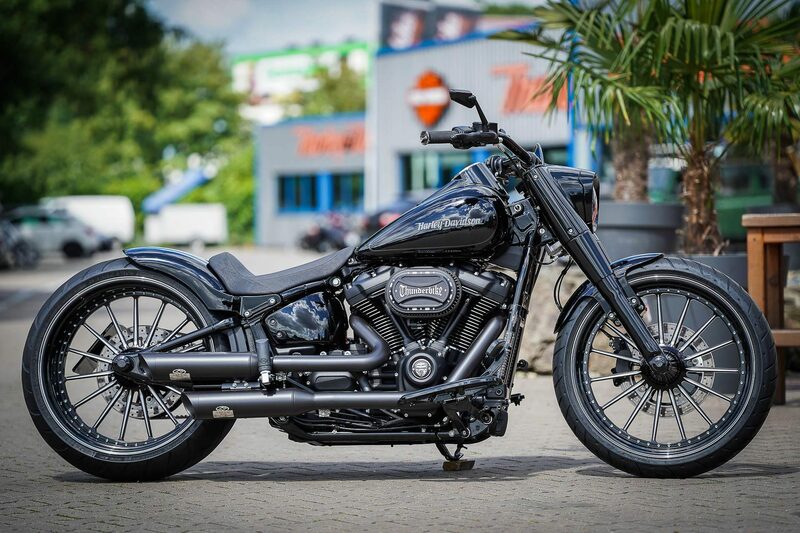 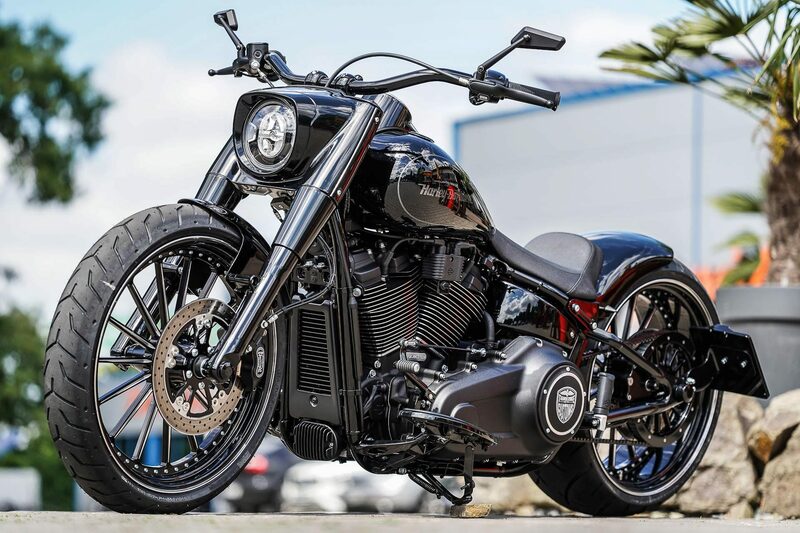 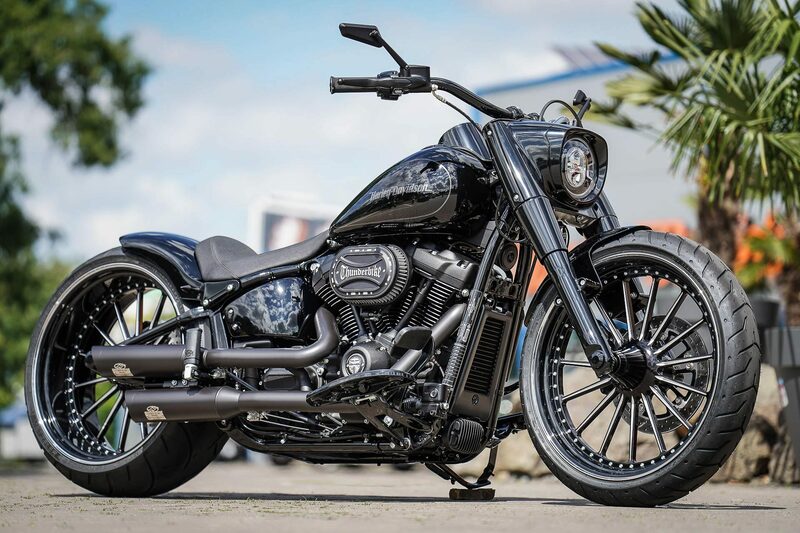 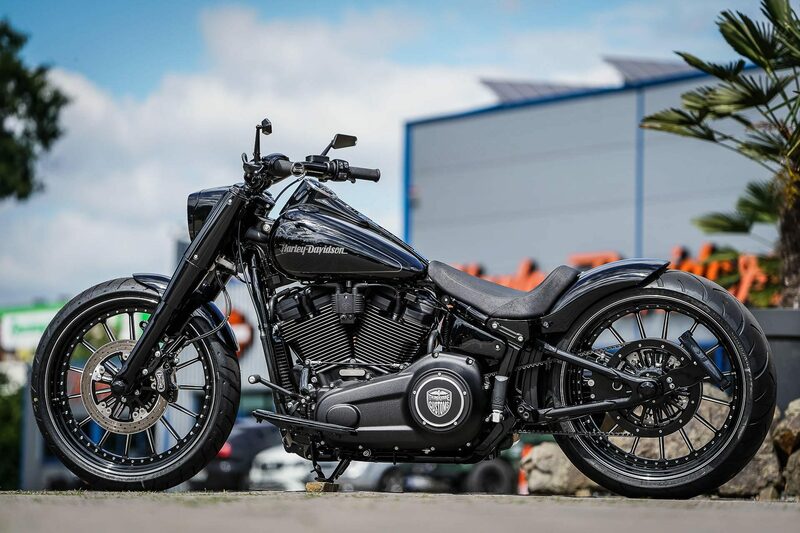 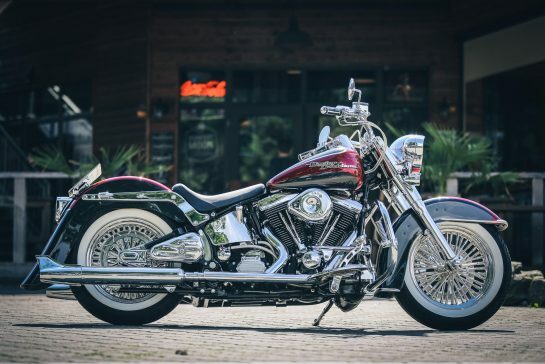 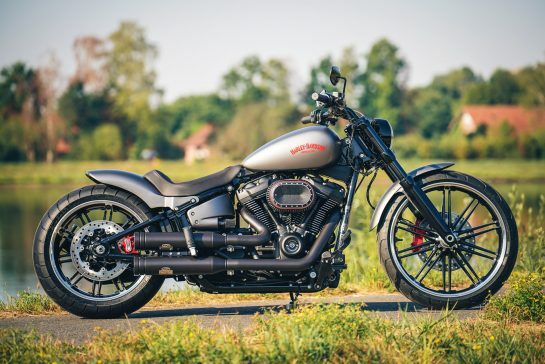 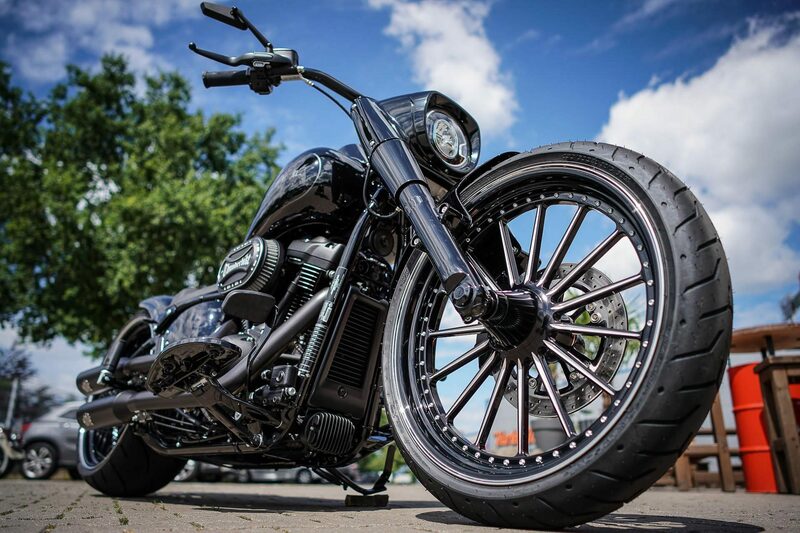 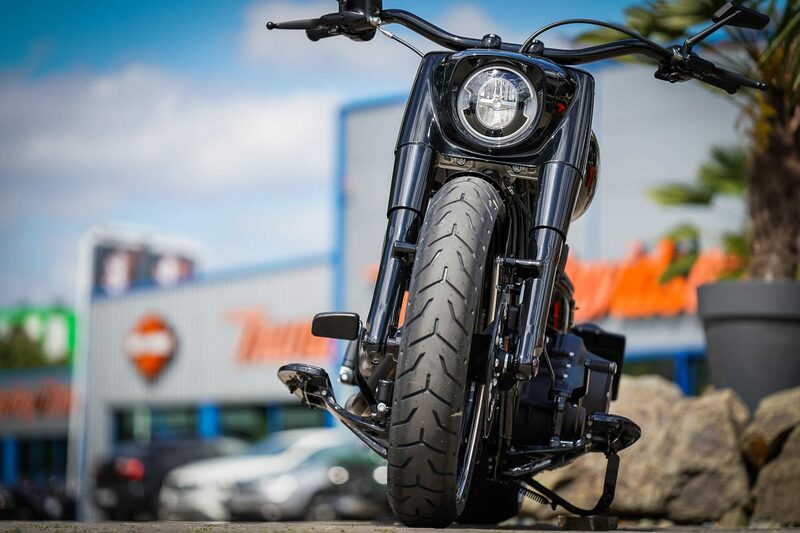 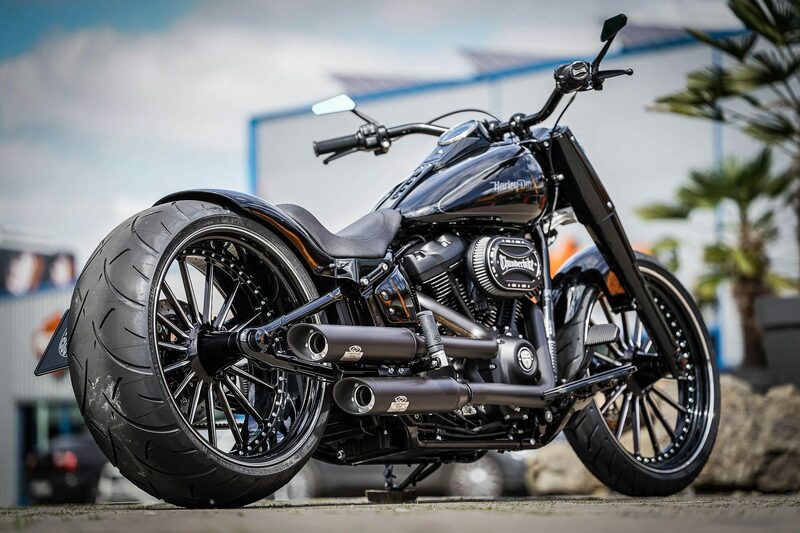 The Fat Boy Prison Break from the 2018 Softail collection is once again one of the elegant custom conversions this year. 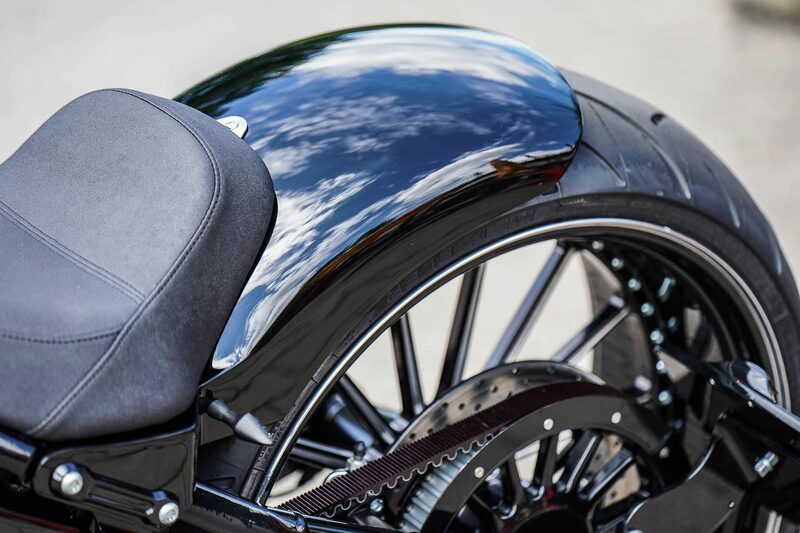 The simple high-gloss painting with the discreet outlines make this Fat Boy appear simple and elegant at first glance. 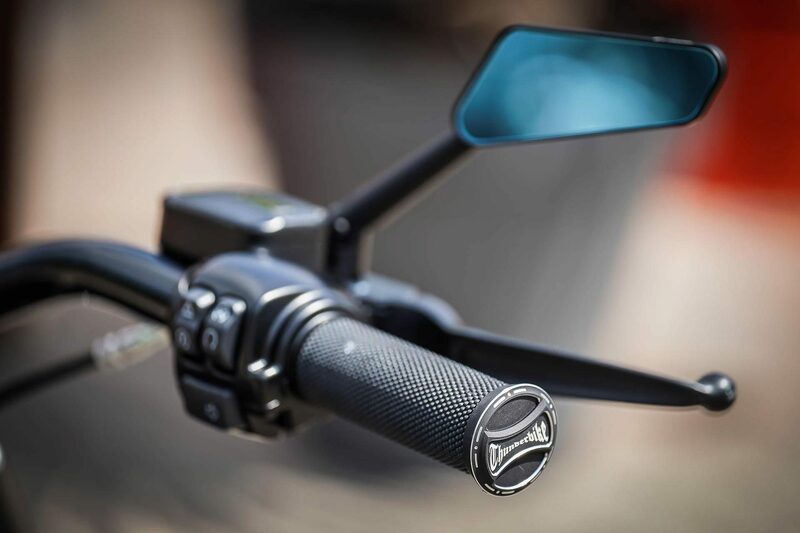 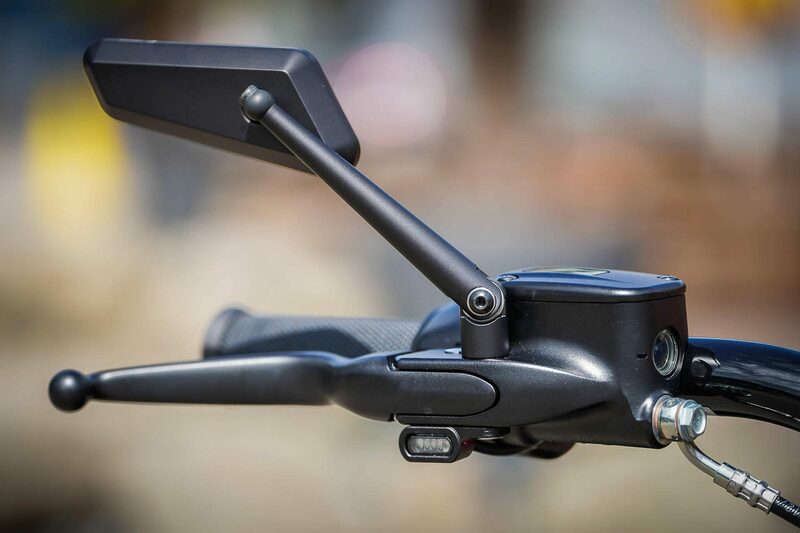 From the Rizoma mirrors, the small LED turn signals and the integrated Air Ride to the fenders, the bike on the Spoke rims is simply absolutely exclusive. 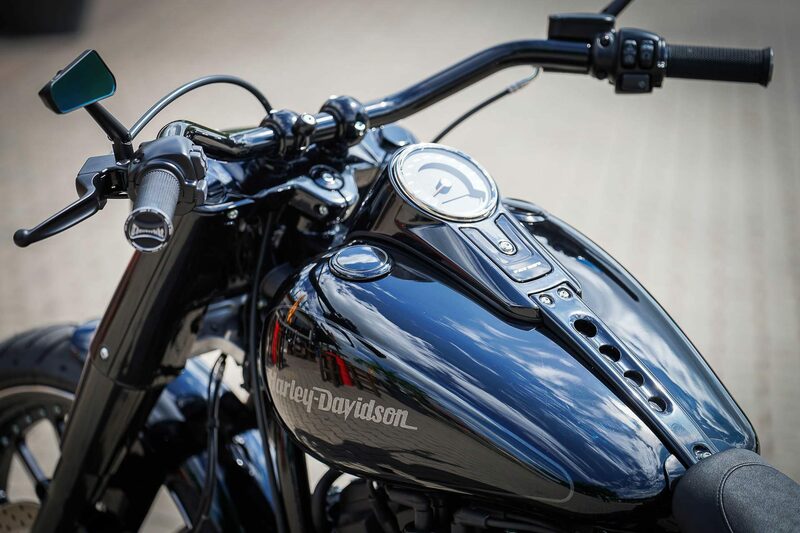 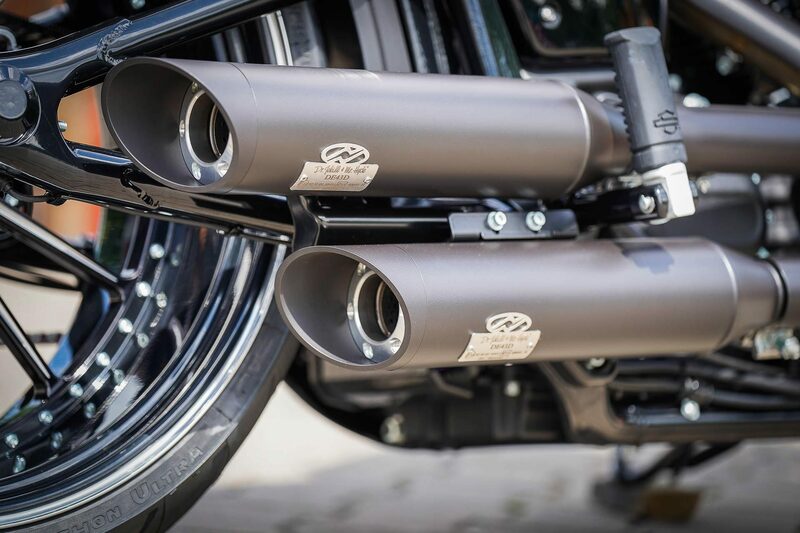 The muffled sound of the electrically adjustable Dr. Jekill & Mr. Hyde exhaust system completes the package. 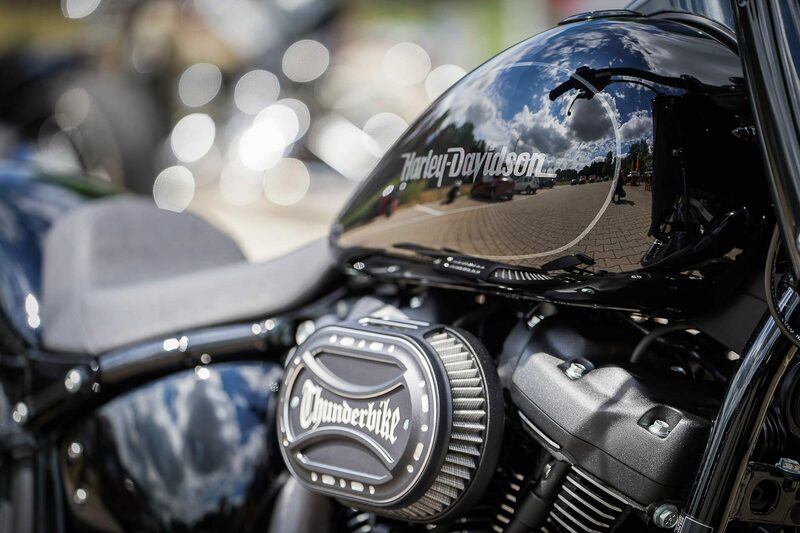 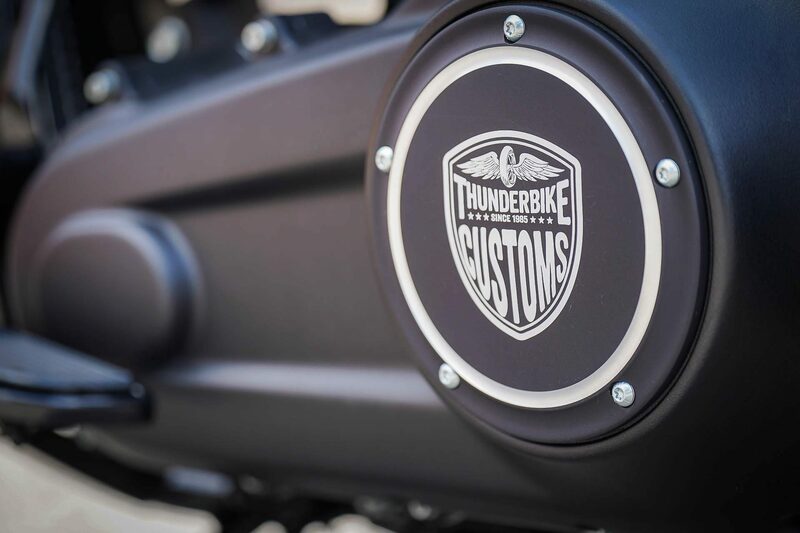 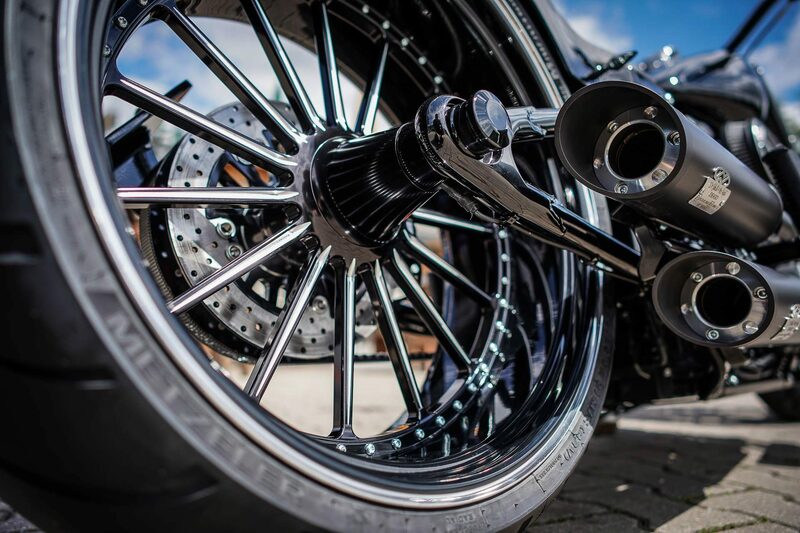 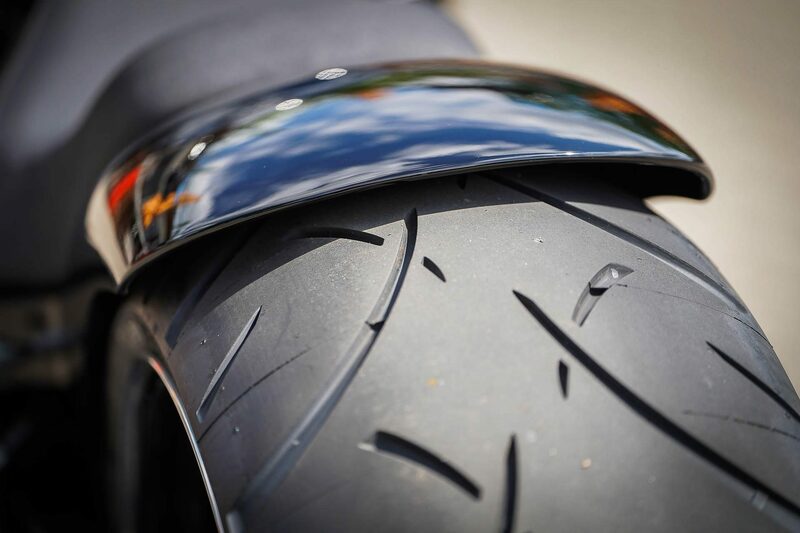 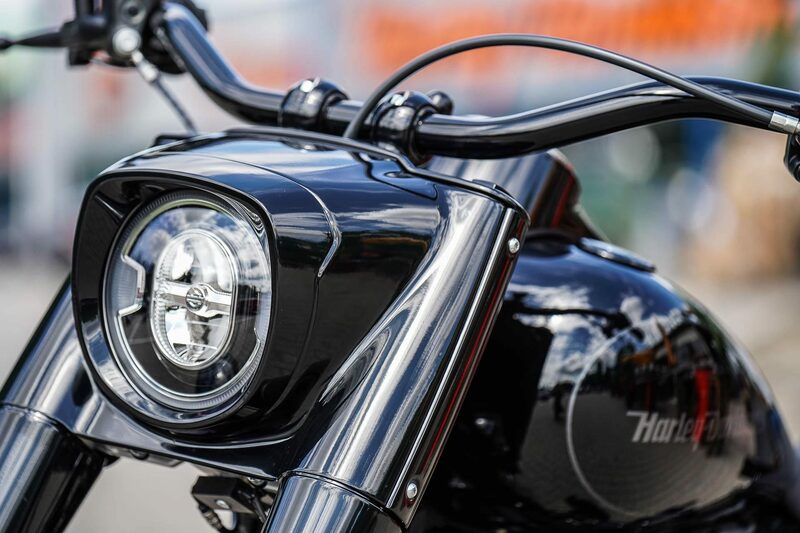 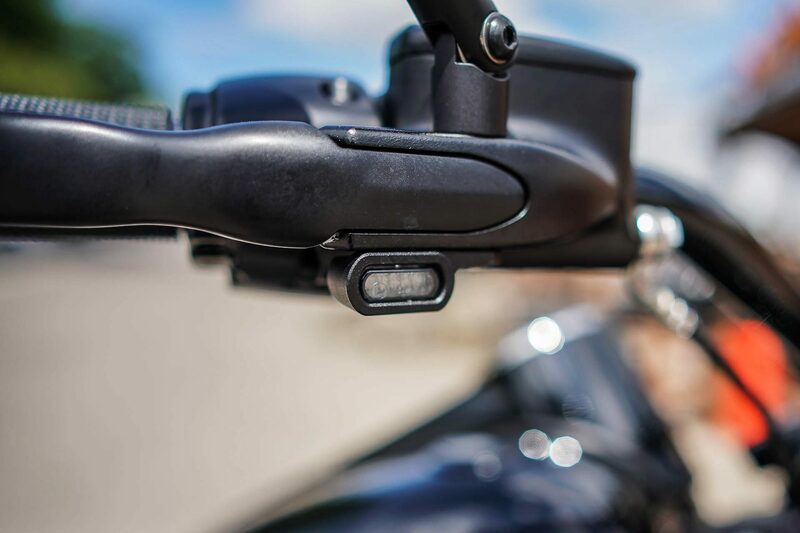 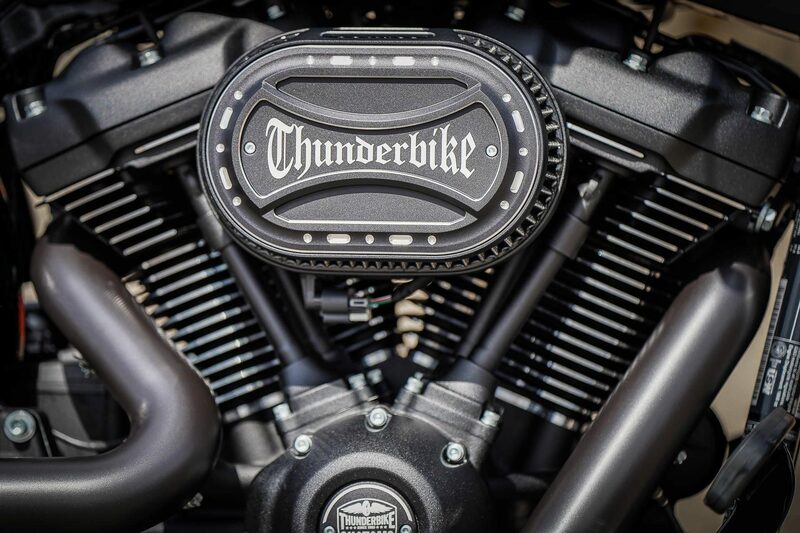 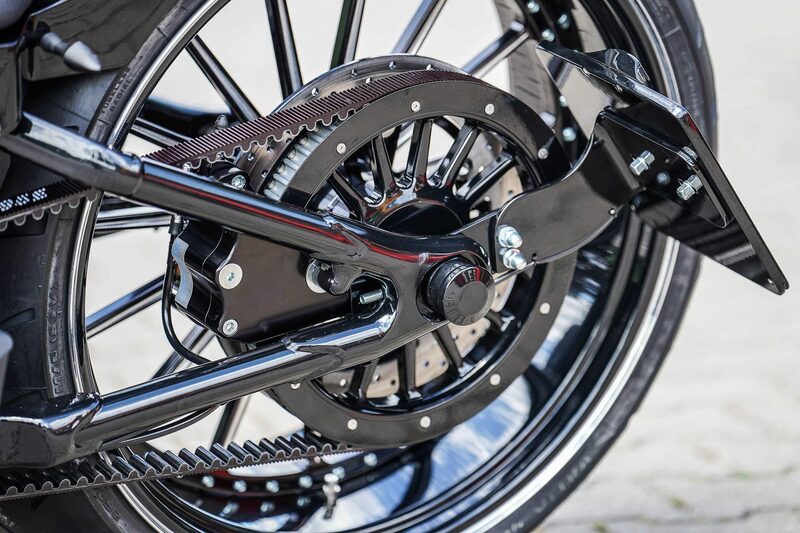 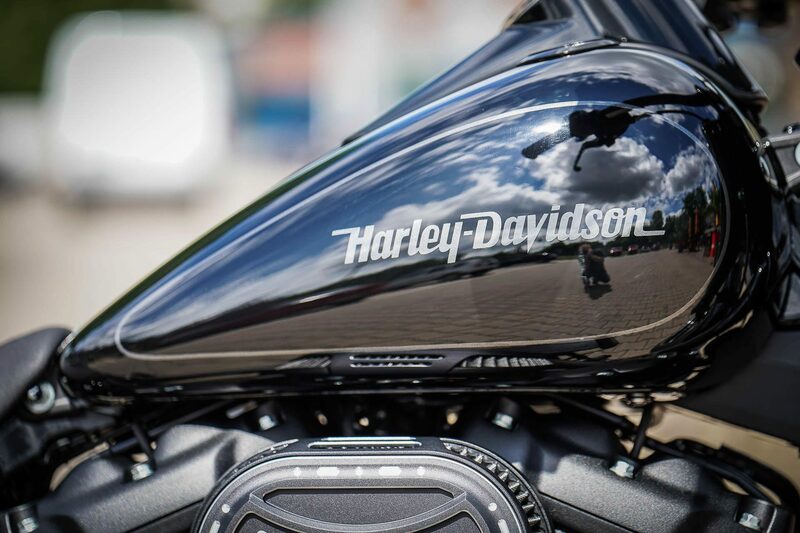 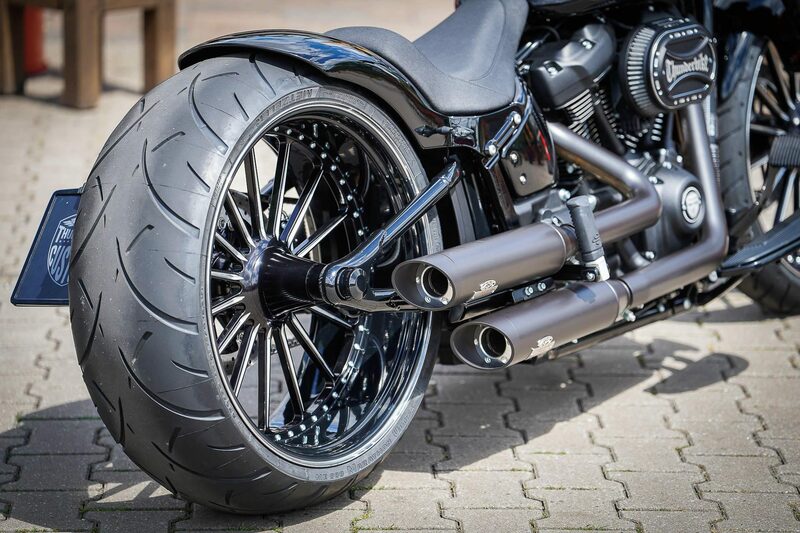 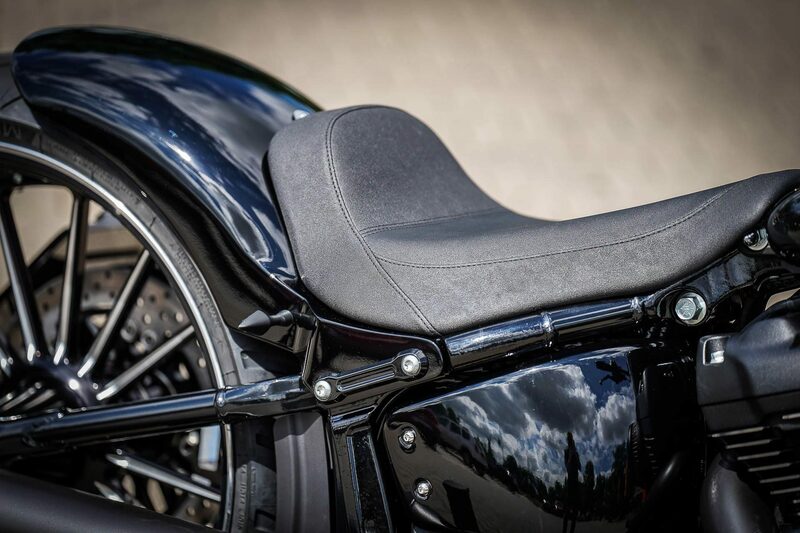 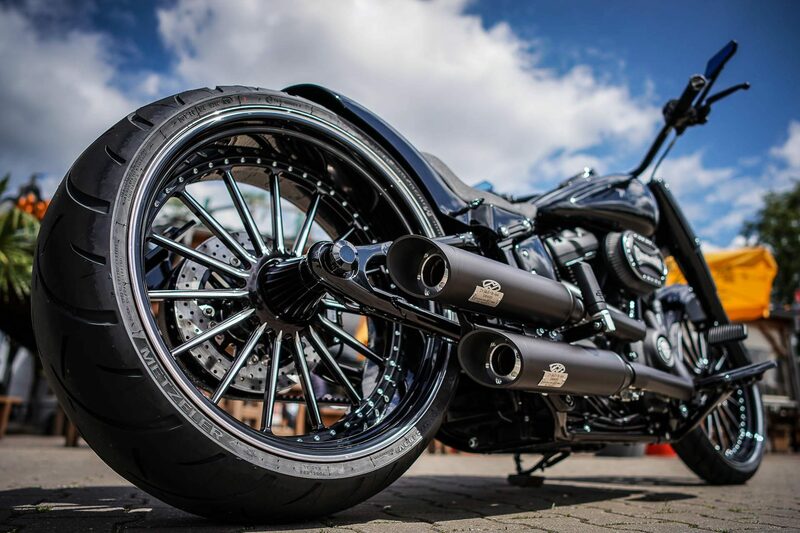 Further details, like the black high-gloss axle covers for the grips and air filter covers give the bike the typical Thunderbike look.